Royal Enfield is all done to launch the new model in india,Thunderbird 500X. RE is made a new attracting changes eqipped with new features with no changes in the power. The new Thunderbird come with a new multicoloured and comes with the Shiny coloured tanks with the colour variants Blue,Red,White and Yellow,toolkit panel comes with the all new Thunderbird 500X logo instead of Old one. Coming to the Front look,the RE gave the all new dull finished Black coated alloy wheels came to introduce for the first time. 500x also with replced Chrome silencer to matte black and the seat is replced to single to feel the comfortable driving seat with back seat rest no more and the handle bar chaned to Flat bar type with attractive front mirrors. The Front projector lamp headlight,tail and side lights remains same as Thunderbird 500,suspensin with the twin gas charged shock absorbers and front uo with the telescopic,front and rear disks. Their is no changes 500x will continue by the BS-IV,fuel injected,and with 5 speed geearbok,the engine releases 27 bhp @ 5250 RPM and a max torque of 41.3 @ 4000 RPM. 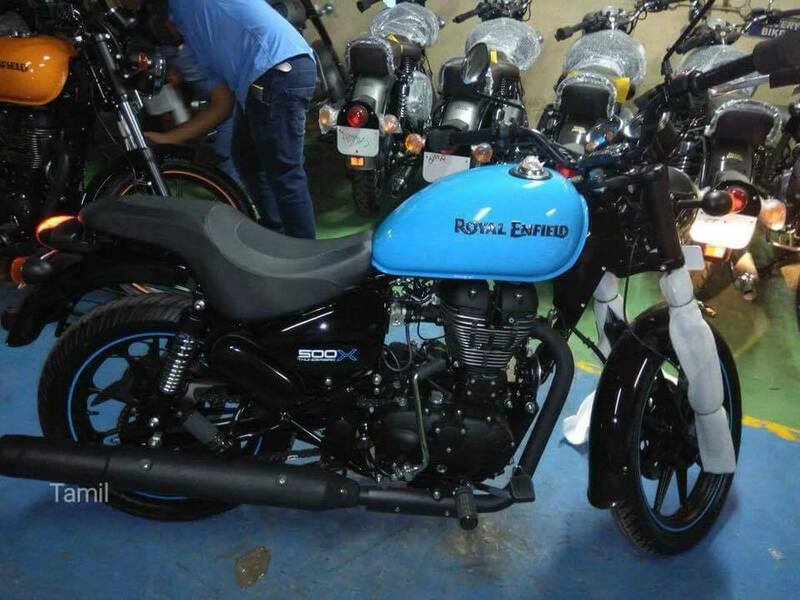 Full details and Launch of date relaese from the Royal Enfield by tge Coming year. The present Thunderbird Ex-showroom Price Rs.1.91 lakh(Approx) compare to the Thunderbird 500 ,newly equipped with alloy wheels and tubeless tyres expect to little effect on price.